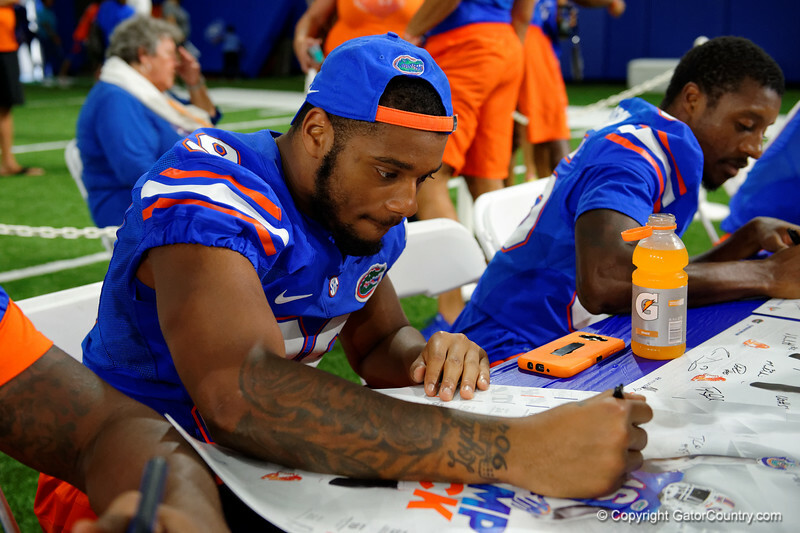 Florida Gators defensive lineman Cece Jefferson autographs the 2016 Florida Gators poster as the Florida football team hosts its annual fan day in the Indoor Practice Facility. August 20th, 2016. Gator Country photo by David Bowie.